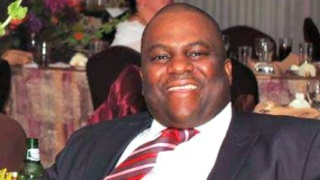 Do you want up to One million naira to grow your business? 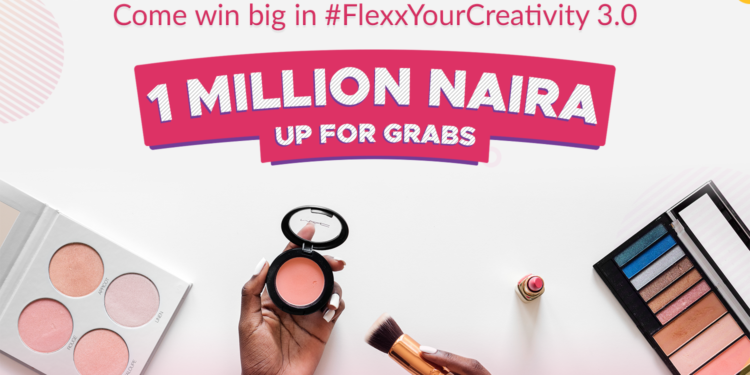 Just #FlexxYourCreativity to WIN! Getting money to grow your small business can be quite a hassle. 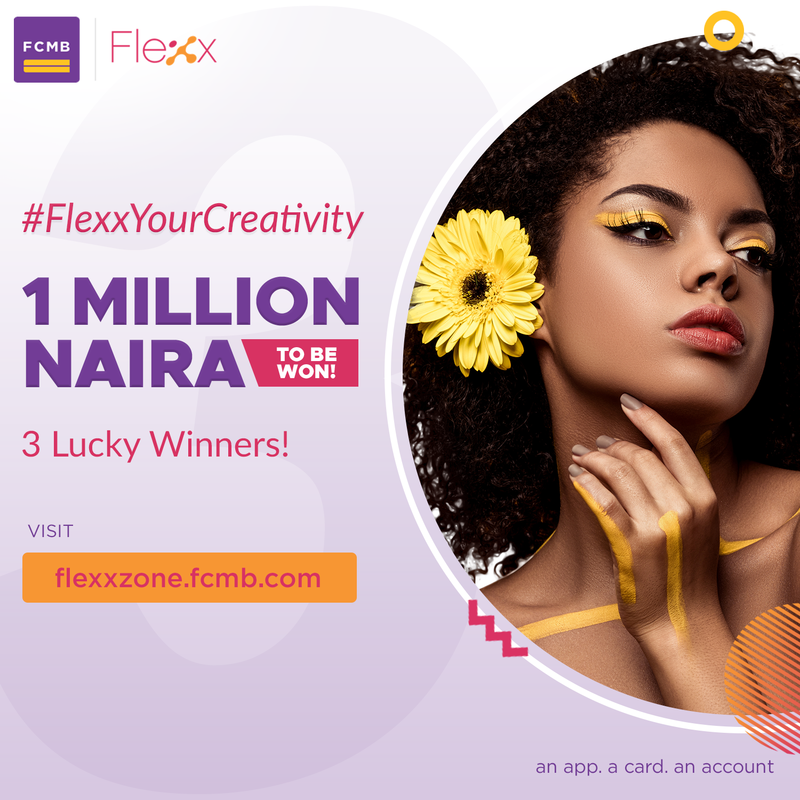 First City Monument Bank wants to help you take care of that when you enter for the #FlexxYourCreativity contest. 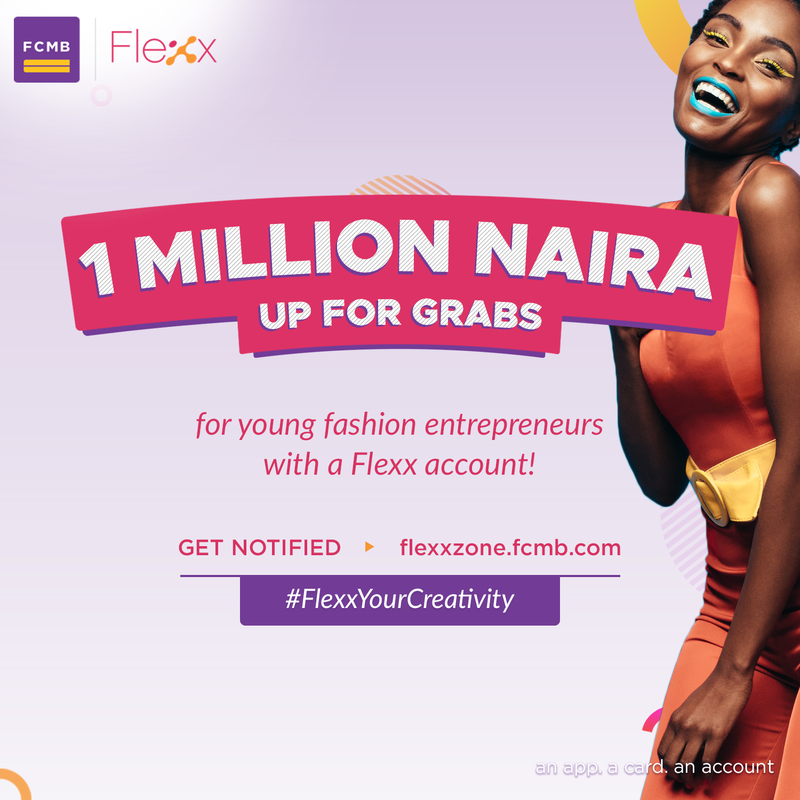 If you are skilled in making people look beautiful by accessorizing, hair styling or making up their faces, then you can be one of 3 lucky winners to share a one million naira cash prize and other amazing resources to grow your business! 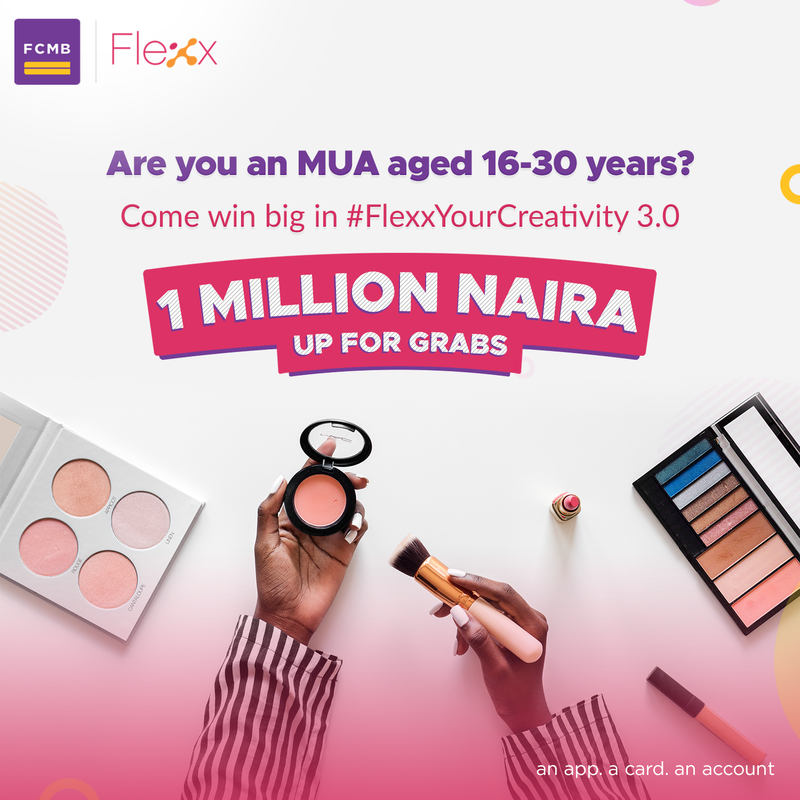 The #FlexxYourCreativity contest which is in its third year is open to participants aged 16 – 30 who are skilled in Hair Styling, Makeup and creating Fashion Accessories. Participants can be students, fresh graduates, young working professionals and entrepreneurs, provided they meet the participation criteria. How to win? 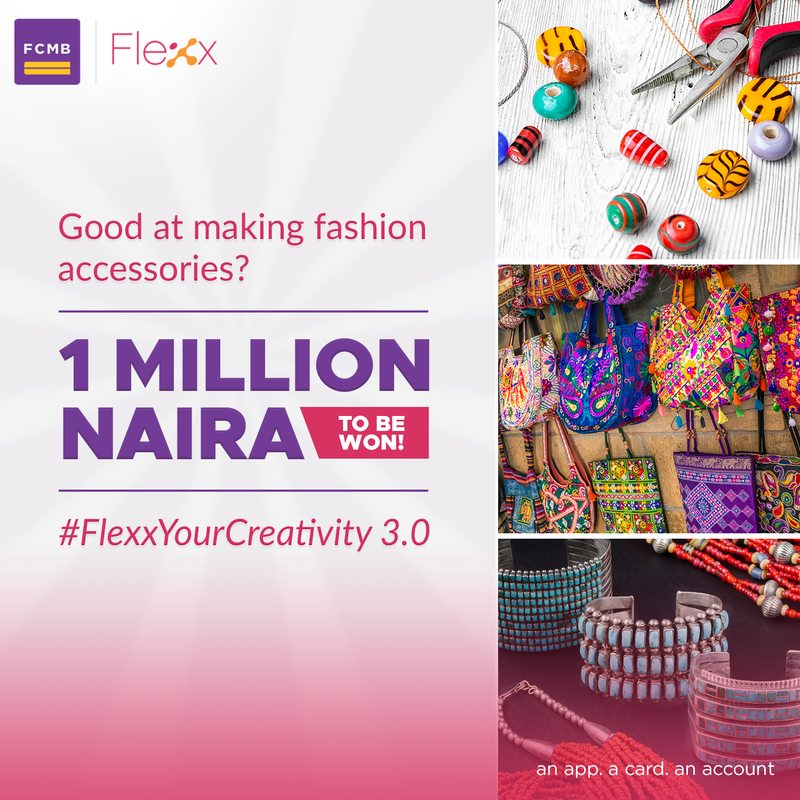 Upload a picture of your craft on the #FlexxYourCreativity portal https://on.fcmb.com/FlexxYourCreativity3-17, save a minimum of #10,000 in your FCMB Flexx account (if you don’t already have a Flexx account, please click here https://on.fcmb.com/YourAccountIn4Minutes-FYC3-4 to open yours in 4 minutes). You will be given a special link which you are to share with your friends and family and invite them to vote for you after registration. 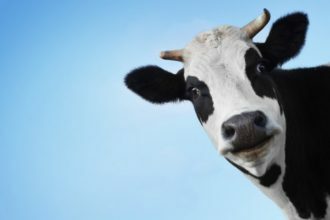 The higher your votes, the higher your chances of winning! Go upload your picture now for a chance to be the next big creative fashion entrepreneur in Nigeria! FCMB’s Flexx proposition is targeted at young people who are actively seeking platforms which allow them to express their uniqueness, while building skills for financial success. 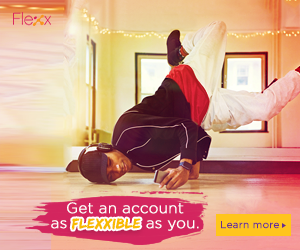 A youth-centric banking product, Flexx is designed to meet the overall financial needs of young people within the age range of 18 and 25 years, where and how they want those needs met. This is summarized in the description of Flexx as “An app. A card. An account”, which gives account holders the freedom to bank on the go using the Flexx Mobile App, as well as access relevant lifestyle and skills-building content.